Good Wife spinoff The Good Fight starring Christine Baranski premieres tonight on CBS and CBS All Access. Christine Baranski‘s Good Wife character of Diane Lockhart spins off into her own series, The Good Fight, premiering tonight (February 19) on the CBS broadcast network. Future episodes (including Episode 2 tonight!) will be found on the CBS All Access service which will also soon be bringing us a new Star Trek series! It’s one year after the events of The Good Wife, and Diane Lockhart (Christine Baranski), has had enough. Watching Trump’s inauguration on TV convinces her that it’s time to get the hell out of Dodge. She puts a down payment on a house in Provence, resigns from her law firm and prepares to write her memoirs from France. But life is rarely that easy. As Diane is leaving the law, her goddaughter, Maia Rindell (Rose Leslie), is beginning her career as a first year associate at Diane’s firm. But suddenly an enormous financial scandal – think Madoff times 10 – caused by Maia’s parents, Lenore and Henry Rindell (Bernadette Peters and Paul Guilfoyle), brings down liberal Chicago. Maia is the object of universal disgust, and after a glorious career, Diane finds herself with nothing. The Rindell financial scandal has left Diane broke, and her old firm refuses to take her back. 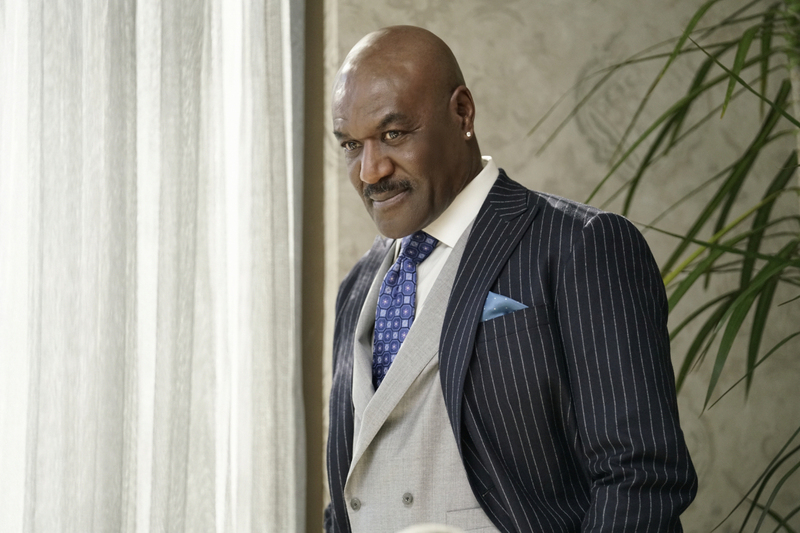 It is only the kindness of Diane’s long-time legal rival, Adrian Boseman (Delroy Lindo) – who invites her to join Reddick, Boseman & Kolstad, his all African American firm – that provides Diane hope. She convinces him to bring Maia on board as well, despite the skepticism of his partner, Barbara Kolstad (Erica Tazel). At Reddick, Boseman & Kolstad, Diane finds other familiar faces: Alicia Florrick’s former partner Lucca Quinn (Cush Jumbo) – who is facing challenges of her own, including Colin Morrello (Justin Bartha), the state’s attorney’s office’s rising star – and Marissa Gold (Sarah Steele). Despite finding themselves at the bottom, Diane and Maia are up for a fight – and things will get nasty. Photos from the series premiere “Inauguration” and Episode 2 “First Week” (exclusive to CBS All Access) can be found below. The cast and producers spoke at the Television Critics Association Press Tour this January about what it is like to bring Diane back and what may have transpired in the year between the conclusion of The Good Wife and the events of this new series. Baranski is curious about what happened in the interim, but insists The Good Fight jumps off from where The Good Wife ended in a “very interesting way” that turns dramatic very quickly, especially for Diane. The actress also didn’t know immediately if Diane Lockhart would have a future beyond the last season of The Good Wife. “We didn’t know until late in the season whether or not we were going to continue with The Good Wife, and there was a lot of hand wringing about saying good‑bye. I could have gone either way, and I certainly understand the choice to end the narrative of The Good Wife when it ended,” Baranski recalled. The Good Fight premieres on CBS and CBS All Access tonight.